The University of Texas (UT Austin), as operator of a methane hydrate research program, is applying for federal permits to drill two deep stratigraphic test wells in the offshore U.S. Gulf of Mexico. UT Austin hereby invites all other interested parties to participate in this operation. 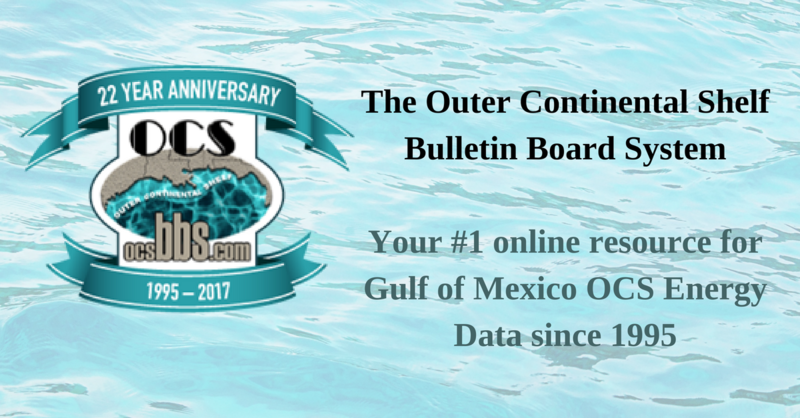 Two (2) proposed tests will be drilled in one (1) OCS location in the Gulf of Mexico for the sole purpose of obtaining scientific data and information. The purpose of drilling these holes is to acquire pressurized sediment cores and wireline log data. The planned commencement date of drilling operations is April 15, 2017. The drilling program is estimated to last 22 days and cost approximately $11 million. The planned target depths for these wells are 1464-1724’ BML, depending on the locations. No casing will be set. The drilling will be done riserless. The applications for the permits to drill (APD) will request approval for Green Canyon 955. Interested parties are invited to participate in the proposed operations and in acquiring the resulting data and information on a shared cost basis. Any interested party may join the program as an original participant by committing, in writing, to the operator prior to 12:01 pm, Central Standard Time, April 15th, 2017, and thereby becoming obligated to bear its equal share with other participants of the cost, risk and expense to drill the stratigraphic test. Thereafter, a party may join as a late participant by committing to bear its share (along with the original participants) of the cost, risk and expense plus an additional amount in the maximum figure which is permitted to be charged to late participants as per 30 CFR Part 251. Participation is available only on an individual or individual company basis. Participation as a representative of a group is not permitted. Those interested in participating in the proposed test wells or obtaining further information thereof should contact Peter Flemings, Jackson School of Geosciences, University of Texas at Austin, Austin, TX 78712, (512) 475-9520 or pflemings@jsg.utexas.edu. On August 24, 2016, Commissioner Mike Merritt presented a report to the SLFPA-West Board asking that they hasten their actions to bolster the flood defenses on the west bank of the Mississippi River. His report includes segments on the recent flood disaster in the Baton Rouge area. To view the presentation, please click here. To view the scripted notes, please click here. NOGS, as a member of PIPE (Petroleum Industry Promoting Education), was a sponsor of this inaugural family event held in City Park on Sunday, May 15, 2016. It was held on the Festival Grounds across the street from the location of the future Louisiana Children’s Museum’s Early Learning Center, which is scheduled to begin construction later this year. The proceeds of the event are to be shared by the LCM, the Children’s Museum of St. Tammany in Covington and the Bayou Country Children’s Museum in Thibodeaux. A total of 385 entrants participated in the event with many family and friends supporting their favorite runners. There was bountiful food and beverages supplied by many industry service companies for all to enjoy, plus three bounce houses to keep the small tykes entertained. Of course, the weather could not have been better with a cool morning and low humidity. New Orleans Running Systems provided the professional touches for the races including registration and run time results. Major thanks to Rick Fowler, of LLOG Exploration, who was the coordinator of the event and to the many STEM participants and volunteers who truly made it such a big success. In April the National ASBOG completed a significant meeting and field trip in Baton Rouge and in the New Orleans area. A report of this meeting was published in the May NOGS LOG, however due to its limited distribution, the article is attached here as a PDF for wider access. We acknowledge the significant contributions by Dr. Christopher Mathewson P.G., P.E. He was instrumental in planning the meeting and in publishing the field trip guide book. To read the article please click here. At their October 28, 2015 regularly scheduled monthly meeting, the West Bank flood authority commissioners approved of a resolution requesting NOGS facilitate the production of basic physical geology research by going forward with the NOGS Surface Fault Atlas Project. SLFPA-W Resolution No. 102815-03 urges surface faulting be defined near and underlying hurricane storm surge, drainage and flood prevention facilities on the West Bank because this detailed geological research has not been done beneath about 80 miles of flood defenses including levee reaches, pump stations and flood gates. The resolution noted the benefit of defining geohazards, if any, near the West Closure Complex pump station (one of the largest in the world) and flood gate (one of the largest in North America) and to manage risk of subsiding levees. Commissioner Mike Merritt moved adoption of Resolution No. 102815-03 and after Commissioner Paul Dauphin seconded the motion, Commissioners Camnetar, Gaddy, Julien, Maclay and Wilkinson voted unanimously to approve and urge NOGS to endeavor to begin and continue its great work of coordinating and facilitating a series of independent scientific mapping projects to be compiled by NOGS producing a Surface Fault Atlas. The Commissioners ordered a copy of their resolution be sent to the NOGS office and the document is an open record available to the public. A team of University of New Orleans graduate students won the 2016 Gulf Coast Regional Imperial Barrel Award in Houston for the second straight year and will advance to the international finals in June. It’s the first time that a team has claimed back-to-back Gulf coast titles in the nine-year history of the event. The Imperial Barrel program, organized by the American Association of Petroleum Geologists, pits geosciences teams around the world against each other in a competition to analyze an oil and gas reservoir. UNO’s team beat out 11 regional competitors including Texas A&M, Rice, the University of Houston, Tulane, the University of Alabama and the University of Louisiana at Lafayette. The team members are Ryan Jones, Zexuan Wang, Will Morrison, team leader Josiah Hulsey, and Celeste Woock. The faculty advisor is Royhan Gani, an associate professor of earth and environmental sciences, assisted by industry mentors Toby Roesler, of Stone Energy, and Benjamin Kirkland, of Nexen Petroleum. The $3,000 prize will go toward scholarships in the Department of Earth and Environmental Sciences. In the regional competition, teams analyze a dataset for eight weeks and deliver their results in a 25-minute presentation to a panel of industry experts. UNO is one of 12 regional winners that will participate in the international competition in Calgary, Alberta, on June 17-18. Mike Merritt was interviewed in his hometown of Raleigh about his experiences with the aftermath of Hurricane Katrina. The interview can be seen by clicking here. NOGS member and Commissioner for the SLFPA-West Bank strongly urges improved tests of the levee system and to use modern-day geophysical surveys of all levees along the Mississippi River. To view the presentation, click here. NOGS had a monumental event at the July luncheon. The Society presented checks totaling $5,000 as part of a ten year commitment of $50,000 to the Louisiana Children’s Museum (‘LCM’) for their Early Learning Village. On hand to accept the checks were special guests from the LCM including Julia Bland, LCM CEO, Lauren Doussan, the Campaign Manager for the Early Learning Village project, and Allison Stouse, Project Director of the LCM Early Learning Village. This exciting new children’s museum will be located in City Park and is slated to begin construction early next year and completed in late 2017. It will serve as an ideal setting and opportunity for NOGS to reach children and adults to promote learning in geology, oil exploration and science. LCM currently has raised $31 million of the $38 million dollar project including a million dollar donation from the Patrick Taylor Foundation. NOGS members who were instrumental in our support of the LCM include Ed Picou and Tom Bergeon. Also pictured are LCM's Lauren Doussan, Allison Stouse, and Julia Bland, the LCM's CEO. The University of New Orleans’ Imperial Barrel Award team was selected first place winner of this year’s competition, held in Houston, Texas. UNO competed among ten universities in the Gulf Coast region. The final competition is in Denver May 29-31, prior to the AAPG Convention’s Opening Session and Awards Ceremony. Over a year ago, NOGS and the local chapter of the Society of Independent Professional Earth Scientists (SIPES), helped underwrite the UNO Geology Department for a course in petroleum geology, taught by Toby Roesler—the winning team’s moderator. Congratulations to UNO’s IBA team! For a list of teams with photos and event sponsors, download the Souvenir Program by clicking here. NOGS members present statements for support of geophysical studies of "at risk" levees. To view the document, click here. Mike Merritt's illustrations and text are presented in this document. It is an eloquent plea for the MRC to use modern-day geophysical surveys of levees along the Mississippi River. To view the presentation, click here.